Taking care of your skin on a daily basis at home is important. Your face is the first thing everyone sees, and a simple skin care regime can help to ensure you look your best each day. Facials are also an integral part of a healthy skincare regimen. These treatments involve multiple steps and are customized to your individual needs. 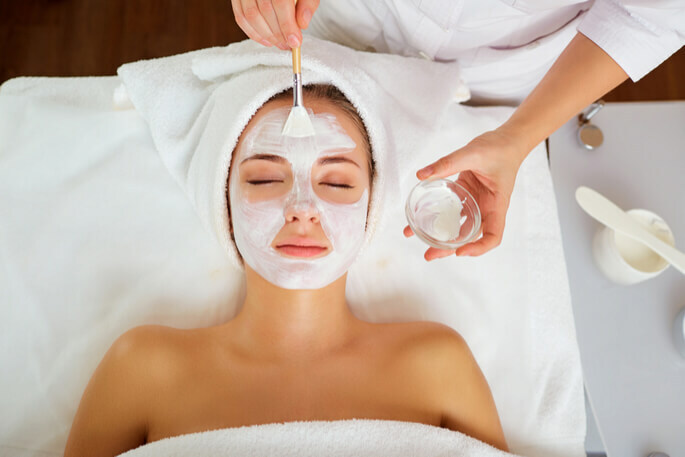 Getting a professional facial on a regular basis is something you can do to pamper yourself that will enhance the results of all the effort you put into your daily routine. Keep reading to discover the many benefits of monthly facials in Birmingham, MI. Monthly facials are a preventive measure to help keep the signs of aging at bay. Blood and oxygen flow are increased through the massaging action of these treatments. This process leads to increased production of collagen and better delivery of nutrients, so your skin will be healthier. You’ll maintain the elasticity and plumpness of youthful skin, while preventing the formation of premature lines, creases and wrinkles. A professional facial treatment provides a far deeper cleansing than is possible to get from your at-home routine. Your practitioner can remove built-up dirt, toxins and bacteria from your skin. You’ll notice smaller pores and less acne with monthly facials. When your skin is cleaner and smoother, you’ll discover that the products you use every day like lotions and creams will absorb more readily. The ability to go deeper into the layers of your skin allows them to work more effectively. The difference is noticeable. One of the best things about a facial is that it can be customized to your individual skincare needs. There are so many issues that affect the appearance and feel of our skin. There are facial treatments for all of them. Your practitioner can examine your face and talk to you about your concerns. Then a treatment plan will be developed that can address loss of elasticity, dryness, large pores, acne breakouts, sun damage and more. Your skincare professional can also advise you on what steps to take and products to use in your at-home routine. Finally, a facial is simply a relaxing way to pamper yourself. It can do a lot for your mental and emotional state, in addition to improving your appearance. Treating yourself to a monthly facial will give your spirit a lift. You deserve it. Afterward, you’ll feel restored, rejuvenated and ready with more energy to face the world. These are just some of the benefits of monthly facials. Contact Pinnacle Dermatology today to schedule your appointment! It’s never too late to start the routine of monthly facials. We are conveniently located in Birmingham, MI.